A pair of three-time All-ACC Academic team selections, Duke’s Mason Plumlee and Ryan Kelly, headline the 2012-13 All-ACC Academic Men’s Basketball team, as announced today by ACC Commissioner John Swofford. 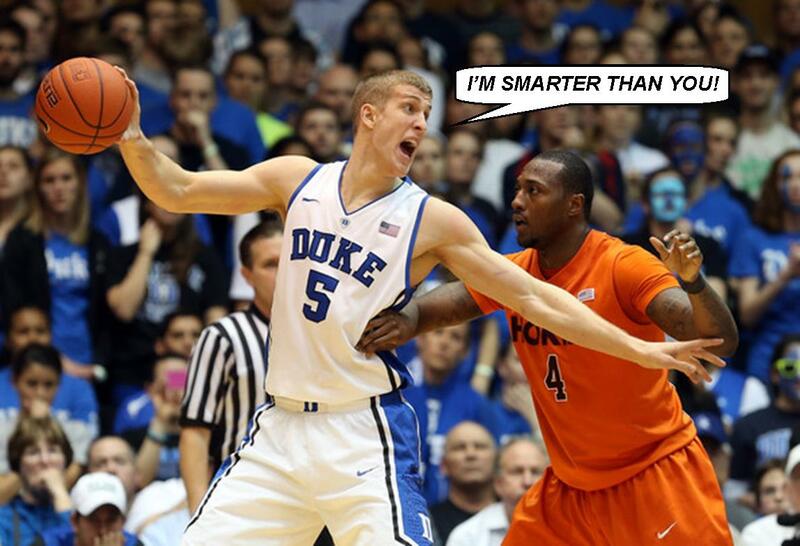 Plumlee was recently named to the 2012-13 Capital One Academic All-America Division I Men’s Basketball Team, as selected by the College Sports Information Directors of America (CoSIDA) and became only the fourth player in Duke history to accomplish that feat in back-to-back seasons. The Warsaw, Ind., senior currently ranks fourth in the league in scoring (17.0), second in rebounds (10.2) and field goal percentage (.585). Duke led all schools with four selections, while Georgia Tech and Virginia Tech had two each. Boston College, Clemson, Maryland, Miami, North Carolina and Wake Forest were each represented by one player. Missing in action: Florida State, N.C. State and Virginia. Jordan Roper, Fr., CLEMSON, Columbia, S.C., Parks, Recreation & Tourism Mgt.